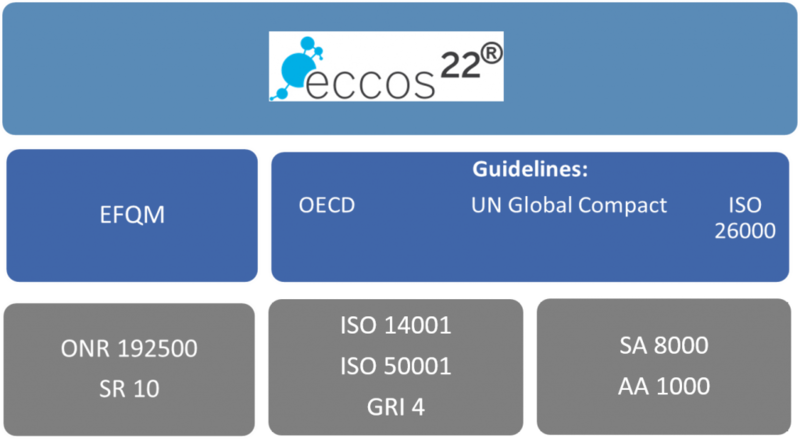 The international Quality Seal eccos²² has been developed on the basis of a combination of the international standards and regulations, OECD Guidelines for Multinationals, UN Global Compact and the EFQM Model (European Foundation for Quality Management). This means that an internationally renowned tool for assessing ecological and social responsibility of companies has been created, no matter what sector companies are operating in and what the company size is. Making sustainable corporate quality visible.